There’s nothing more exciting than the first few months of a new exercise regimen, especially one to which you successfully stay committed. You’re sore all of the time, but it doesn’t matter, because the transformation you’re witnessing makes it all feel so incredibly worth it. People are complimenting you and perhaps you’re even getting more attention from potential romantic partners. Life is good. However, after a few months, sometimes you’ll see your progress stall. This can happen even if you’re working out with the exact same consistency and effort as you were when you first began. This “workout wall” can feel truly upsetting. People like to think that they’re accomplishing something in exchange for working hard and the workout wall completely turns that notion on its head. Thankfully, there are ways to get past the wall. Here’s what to do to start seeing progress again. Yoga teachers often tell their students that once they master a pose, they lose the effectiveness of said pose. Struggling to stretch and balance does more to shape the body than simply adapting a pose that comes easy to you. A certain type of exercise might have once challenged you, but eventually you develop muscle memory and the workout ceases to provide any sort of real challenge. To mix things up, try something new. If you only lift weights, then give cardio a try. If you’ve been taking a certain type of dance class to stay slim, try a different form of dance. If you want to see more progress, you need to occasionally try something new that you have to learn to master all over again. This is how the body changes. You can’t lift the same amount of weight forever and expect to see changes for the reasons mentioned above. Once the body adapts to a certain amount of weight, the muscles stop being challenged and therefore stop growing. However, adding more weight can solve this. You can also do other things to mix up your movements, such as using an exercise board when doing squats, which helps to better target the gluteus muscles. 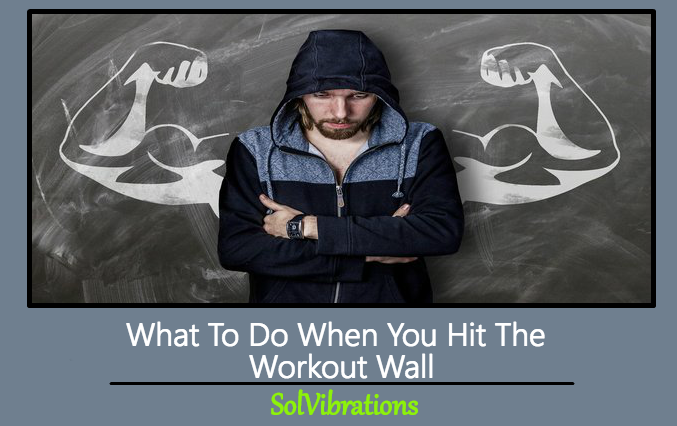 Ultimately, when it comes to getting past the workout wall, it’s all about continuously mixing up your workouts and adding more weight and resistance to challenge yourself. If you do that, you’ll start to see results again. This Concludes: What To Do When You Hit The Workout Wall. What Did You Think Of This Post? Please Let Us Know By Rating Below!